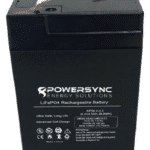 POWERSYNC offers two different options when it comes to LiFePO4 batteries, Drop-In and Energy Storage Systems. 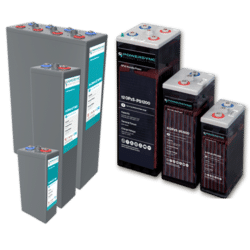 These batteries offer a significant longer cycle life and longer float/calendar life than lead acid batteries while helping to minimize replacement cost and reduce total cost of ownership. Discover the features, benefits and options available to you by exploring this page. POWERSYNC Lithium Iron Phosphate (LiFePO4) batteries are designed as a drop-in replacement of lead acid batteries. Each of our batteries are designed as replacements for specific deep cycle lead acid batteries up to BCI Group Size 8D.LiFePO4 batteries are designed for 10,000 Cycles at 50% DOD 6,000 Cycles at 80% DOD and 2,000 Cycles at 100% DOD. 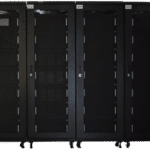 POWERSYNC Lithium Iron Phosphate (LiFePO4) Energy Storage Systems (ESS) are designed for residential, commercial, or industrial scale projects where long lasting, efficient, and scalable energy solutions are required. The POWERSYNC ESS’s are modular and are available in two different voltage configurations both of which can be stacked in parallel to a maximum of 16 units. 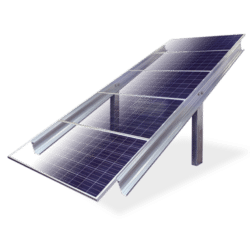 POWERSYNC ESS’s are customizable and can be delivered as a stand-alone battery system or as a fully integrated system including inverters, charge controllers, and energy management software. These ESS modules offer a significant longer cycle life and longer float/calendar life than lead acid batteries while helping to minimize replacement cost and reduce total cost of ownership. The key benefits of LiFePO4 technology are its inherent strong thermal stability, enhanced safety and tolerance, and a high cycle life compared with other lithium chemistries. Optional ComBox available for systems requiring more than two modules. Lithium batteries are significantly lighter than lead acid batteries. Delivers more energy than lead acid batteries, even at high discharge rate while maintaining high energy capacity. As a result of higher charge / discharge rates, LiFePO4 batteries can charge and discharge more power in less time than lead acid resulting in less downtime. LiFePO4 batteries eliminate unnecessary replacement costs as a result of a longer cycle life. The cost per kWh delivered by the LiFePO4 battery during its lifetime is significantly lower than lead acid batteries. Under/Over voltage, over current, and short circuit protections ensure safe and efficient operation. Longer Cycle Life: Offers a significant longer cycle life and longer float/calendar life than lead acid batteries helping to minimize replacement cost and reduce total cost of ownership. LiFePO4 batteries are designed for 10,000 cycles at 50% DOD, and 6,000 cycles at 80% DOD, and 2,000 cycles at 100% DOD. The key benefits of LiFePO4 technology are its inherent strong thermal stability, enhanced safety, and tolerance compared with lead acid and other lithium chemistries. We’d love to hear from you. For business inquiries feel free to call, email or use the contact form to the right. We can’t wait to hear from you soon!